Why is finding an effective way to measure space utilization an important tool in today’s modern office space era? Any scientist can confirm that proper measurement is vital to produce the desired outcome. If incomplete measurements are gathered, procedures will go wrong based on missing or inaccurate data, which means decisions are ultimately based on invalid results. 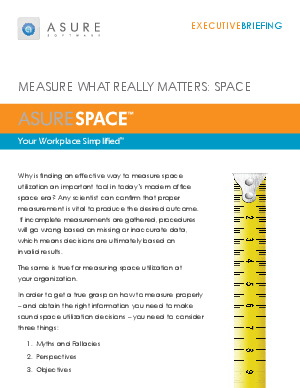 The same is true for measuring space utilization at your organization.